...the ultimate dorm room appliance for both energy efficiency AND safety. With the recent introduction of the 1st Defense™ Smoke Sensor, the latest MicroFridge appliances now have a smoke sensor that automatically shuts down microwave operation and prevents residence hall smoke detectors from alarming by shutting down when smoke begins. Some colleges and universities have begun requiring this feature to enhance safety. MicroFridge created the first patented Safe Plug® power management system that enables the entire unit to be powered by a single plug. Safe Plug® prevents the refrigerator and the microwave oven from drawing electricity at the same time. It is also very efficient using far less electricity than standard compact appliances. FACT: every MicroFridge that Standards For Living rents/sells is Energy Star rated by the United States Department of Energy. 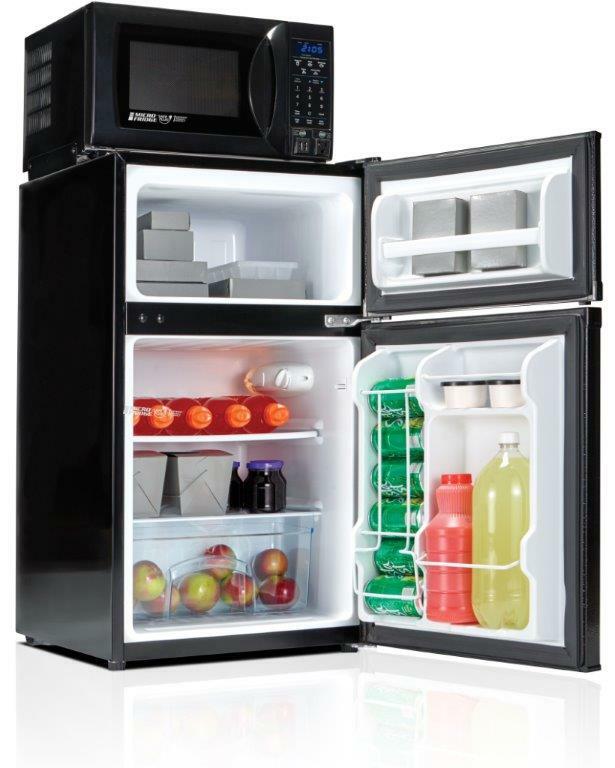 refrigerator compartment - 2.13 cu. ft.
freezer compartment - .75 cu. ft.
oven capacity - .7 cu.ft.